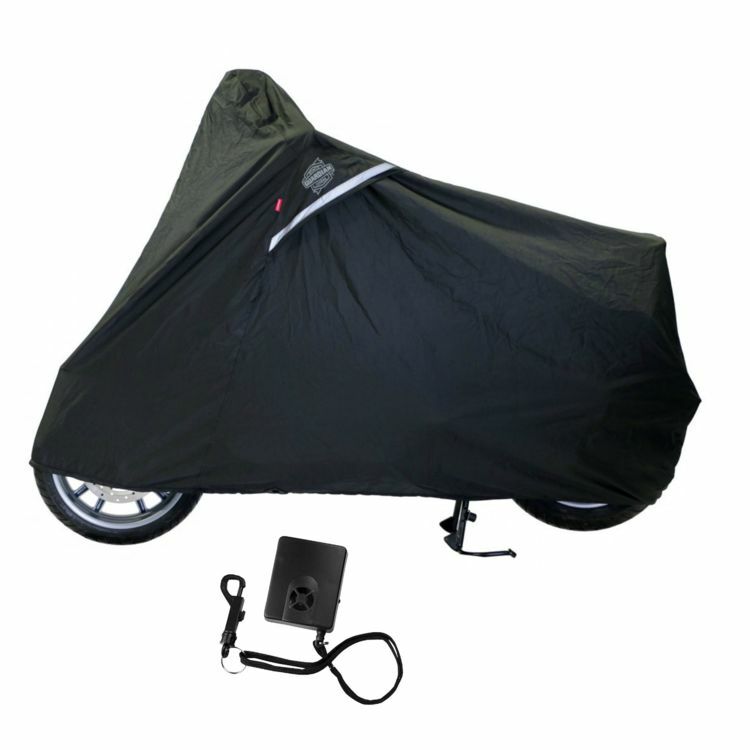 The Dowco Weatherall Plus Cover And Alarm Kit combines the best materials in the industry to shield your bike from the worst of Mother Nature while packing a 130dB alarm to ward off thieves. The Dowco Weatherall Plus Cover Alarm fits within an inside pocket and tethers to your bike to provide a deafening deterrence. Note: Sizes listed are for stock scooters without volume additions such as extra luggage or taller windshields. Addition of those options will typically require sizing up.